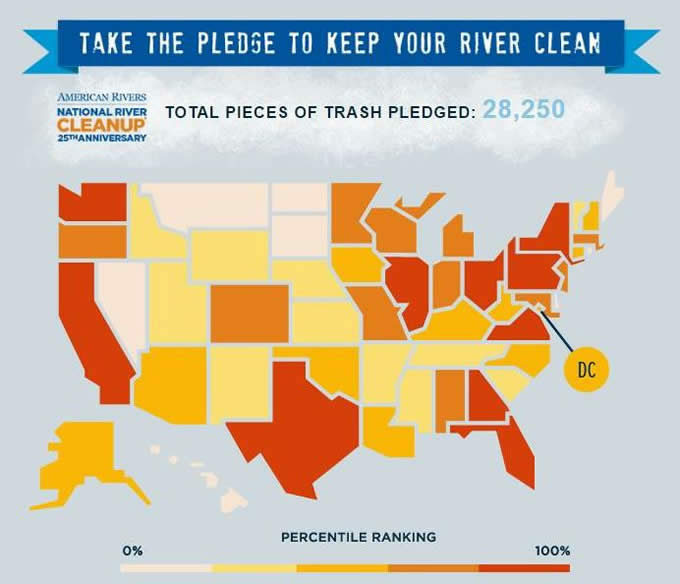 River cleanups don’t have to happen in or on a river, and as individuals across the U.S. have shown, we can easily stop litter from reaching our rivers with one simple action. 25,000 pieces of trash. That was our goal. We wanted to honor the 25th anniversary of National River Cleanup® with 25,000 pieces of trash. That is: 25,000 pieces of trash being taken out of our waterways by the American public. And that’s just what they did. At the start of 2016, we decided we needed to do something big for the 25th anniversary of National River Cleanup. 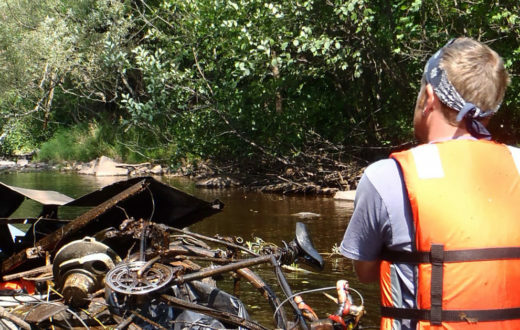 We set out to get more people involved in cleaning up their hometown streams and faraway rivers by pledging a simple task: to pick up 25 pieces of trash in 25 days. 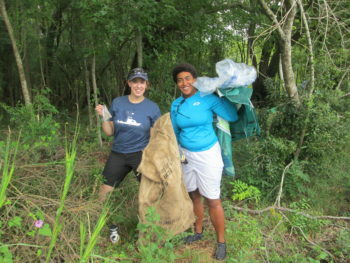 Volunteers comb the banks of the Ashley River for trash. We realized that not everyone lives near a river or stream, and not everyone has a group in their town organizing regular river cleanups. 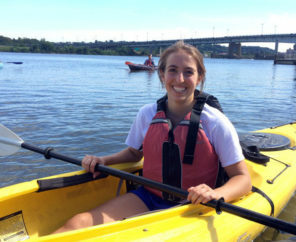 But, we also realized, river cleanups don’t need to be limited to rivers. When a piece of trash is thrown out of a car window or dropped by someone walking down the street, it doesn’t always make it into a trash can. Then rain comes, or a strong wind or a kid looking to use a bottle as a soccer ball and a storm drain as a goal, and all of a sudden that trash is in our stormwater system. What many don’t realize is that our storm drains lead to our rivers. And more than 65% of Americans get their drinking water from rivers. Big problem. 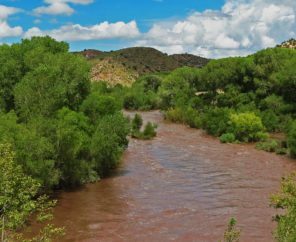 In order to keep our drinking water, wildlife habitats, boating routes, and scenic views pristine, we all need to pitch in and keep our communities clean. That’s where the pledge came in. So far, individuals across the country have saved over 29,000 pieces of trash from making it into our rivers. California is leading the pack with a whopping 3,825 pieces of trash collected, followed by Florida with 1,700. Most states are in triple digits, but a few are lagging behind (you know who you are). And, it’s not just individuals taking a stand against trash. Companies like Plow and Hearth and ReUseIt have stepped up and challenged their employees to take the pledge. Once staff have collected their pieces, they’ve been encouraged to share their finds on social media. These companies are not afraid to get their hands dirty. In addition to our ever-changing pledge map, we’ve started collecting trash photos and images of cleanup success in our virtual landfill. Anyone who uses the hashtag #RiverCleanup on social media outlets like Twitter, Facebook, Instagram, and Vine while completing their pledge will get their photo automatically put into our virtual landfill. 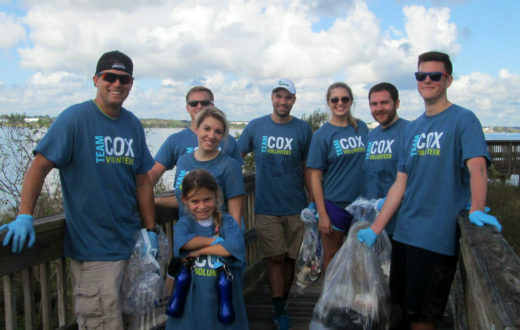 If you scroll through, you’ll see some crazy trash and some awesome people cleaning up their waterways and neighborhoods. The most common finds so far are bottles, cans, food wrappers, plastic packaging, fishing line, tires, and smiling volunteer faces. 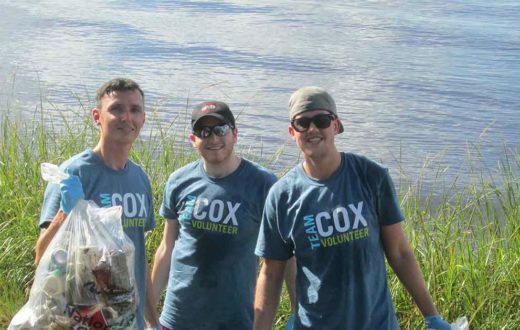 All cheesiness aside, while it can be disheartening to see all the litter around us, we can’t forget about the thousands of individuals and local groups making a difference in their communities across the country to keep our rivers clean. If you haven’t yet, take the pledge. Let’s blow 25,000 pieces out of the water (pun intended)! I want to clean the chenango river in Madison county. How do I get this started? I’m glad to hear you’re interested in starting a cleanup! We have some helpful resources on our website for new cleanup organizers. I recommend you check out our Organizer’s Handbook (http://s3.amazonaws.com/american-rivers-website/wp-content/uploads/2016/03/24220944/AR-Handbook_general-2014.pdf) and the rest of the tools on our Organize Your Own River Cleanup page. Also feel free to reach out and email [email protected] as you work on your cleanup plan. Thanks again for getting involved and we hope to see your cleanup registered with National River Cleanup soon! Join or start your own National River Cleanup® today! Love Your River? Clean It Up!